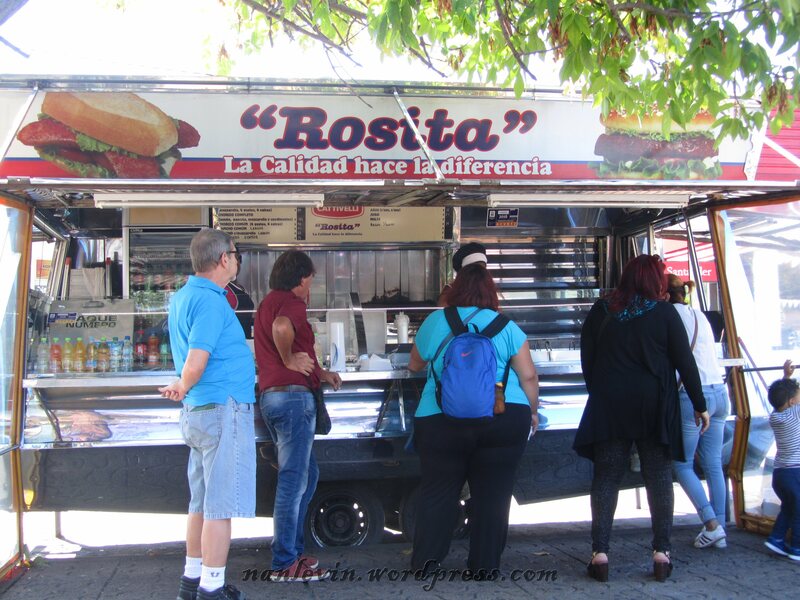 On the block above the Montevideo Mall you will find this cute little food truck. Joe read a blog article by a visitor who stayed in our area of Montevideo and this guy praised the food so of course, we had to try it. Joe decided on the chorizo completo (sausage with all the goodies) and we were not disappointed. It was a juicy fresh sausage of good quality with mozzarella cheese, ham, bacon and sauces and toppings. Joe picked the local spicy mustard and marron which are cooked red peppers along with onions and mushrooms. 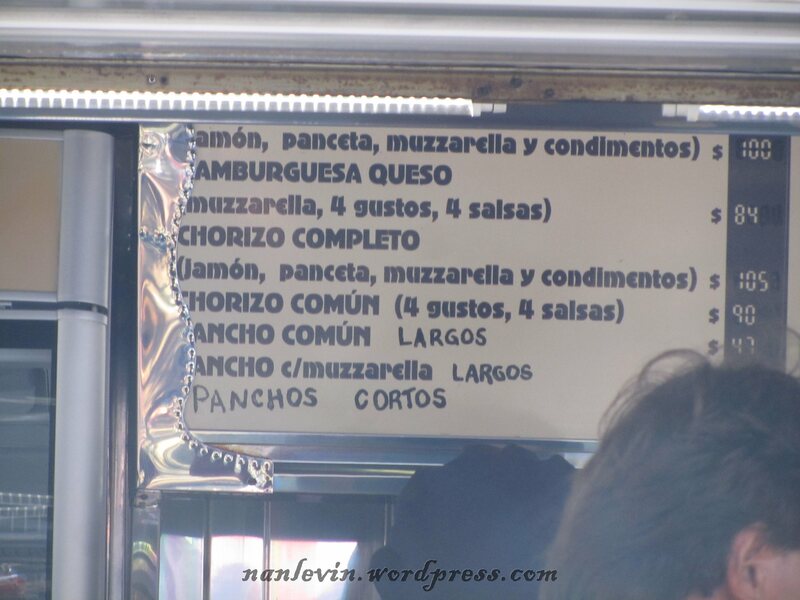 This entry was posted in Buceo Montevideo Uruguay, Food Truck, Montevideo Uruguay and tagged Beach living, Food Truck Food, Montevideo Uruguay, South American by Nancy Levin. Bookmark the permalink. Well Nancy. what did you have? 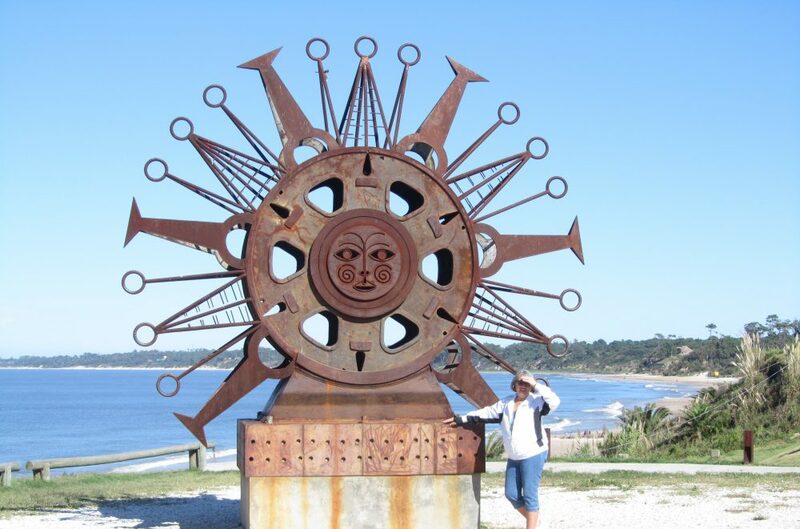 Hello guys , very happy to seeing you enjoying Montevideo, I need to ask you why you leave St Clemente, I’m ready to move to Playas in Ecuador any feedback please let us know. Thank you.